‘Modus - The House of Soul’ is the retail branch of the Modus Archive, selling a large range of music and fashion related items and staging a number of selling exhibitions throughout the year. Our policy is to carry only original items. We have a large stock of records, books, magazines, photographs and related ephemera for sale at our premises on the 4th floor of Belper North Mill. Our aim is to continually update the stock and new items will feature regularly on this website. 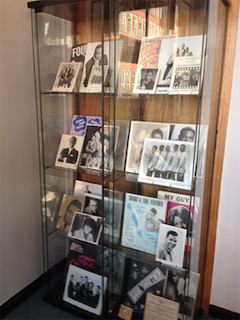 We are currently showing over 40 period soul, R&B and ska posters from the 60’s and 70’s. Future exhibitions will be looking at, amongst other topics, the first 100 copies of Home of the Blues/Blues & Soul magazine, the Motown ‘Ghost Tour’ of 1964 and the Blaxploitation phenomenon.